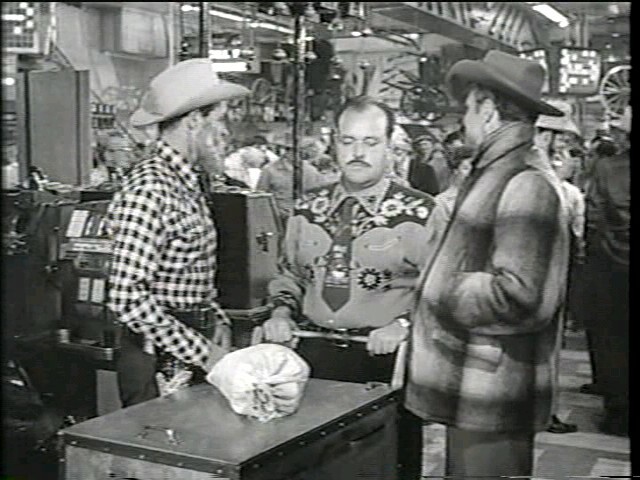 Three college buddies plan a casino heist as a lark, intending to give back the money immediately. 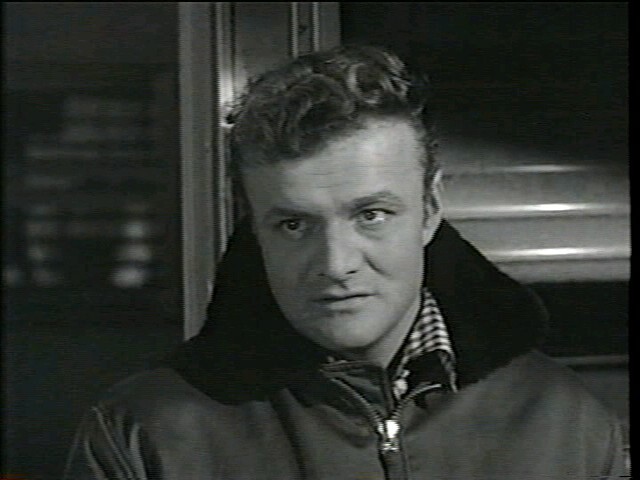 But when one of them — damaged Korean War veteran Brick (Brian Keith) — decides he wants to keep the money, it’s up to his friend Al (Guy Madison) to stop the entire scam. This unusual caper flick (directed by Phil Karlson) effectively draws upon the theme of veterans struggling to live “normal” lives in mainstream society. 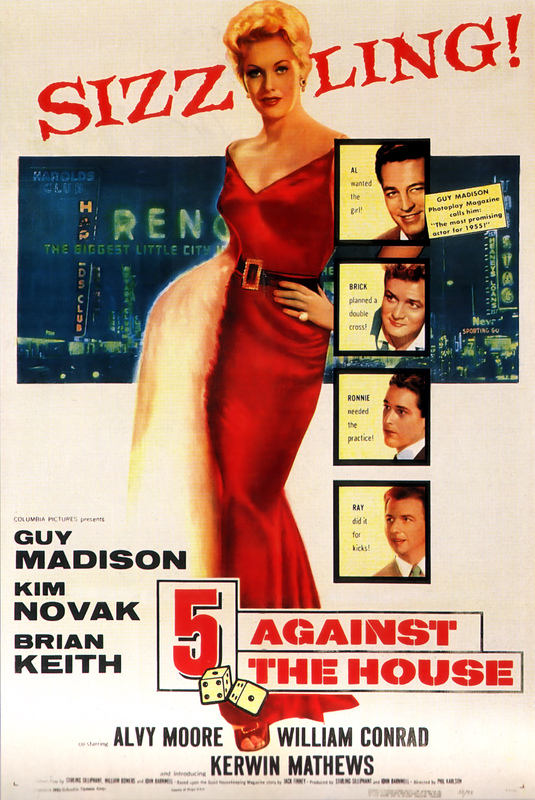 While Al (Madison) is on the fast track to success as a lawyer, and desires nothing more than to marry his sweetheart (Kim Novak) and settle down, his friend Brick (Keith) represents the opposite extreme: a man so broken by his experiences as a soldier that no amount of schooling or friendship can erase the damage that’s been done. Meanwhile, their young, carefree buddies Ronnie (Kerwin Matthews) and Roy (Alvy Moore) serve as a telling contrast: they are content with simply having fun, scoring with chicks, tormenting a naive freshman (Jack Dimond), and (for Ronnie at least) proving their genius against the seemingly impervious machinations of a casino. Karlson maintains genuine tension and interest throughout the movie, thanks to fine performances by most of the actors, clever dialogue, and a nicely shot casino heist. The emphasis on character and friendship is refreshing — rather than watching seasoned crooks hoping to make “one final score” (an overused trope if there ever was one), we see a drama which may revolve around a heist, but is ultimately about pride (Ronnie), survival (Brick), and loyalty (Madison). P.S. Ronnie’s cool, calculated plotting is reminiscent of John Dall’s character in Hitchcock’s Rope (1948) — though ultimately Five Against the House is more concerned with the veterans’ stories than with Ronnie’s potential psychopathy. No, but it’s a nifty caper flick, and definitely worth watching if you can find a copy. Not a must. I imagine Peary includes it in his book mostly out of admiration for Karlson, a good director when the script allowed him to be. Re: the cast, Novak comes off very well when singing ‘The Life of the Party’, and I’ve always felt Keith was underrated (he did way too much tv instead of more movies). But, again, actors are only as good as, in part, their scripts allow.